Why use a real estate agency for your project? Real estate professionals have an in-depth knowledge of the sector and the marketplace, which allows them to carry out a property’s valuation (or earnings per rental) in an optimum manner and for a fair price. The main objective of a real estate professional is to help you sell or rent your property as soon as possible and at the very best price while avoiding endless negotiations with potential buyers or tenants. Real estate valuation is a key step in the home-selling process. A precise, objective valuation is based on numerous parameters. A proper selling price estimation allows for the transaction to be carried out within the desired deadlines, which in turn limits negotiations with buyers. A real estate agent will redact an advertisement that describes your property in a precise, objective manner to optimise its promotion and commercialisation. Furthermore, your agent will liaise with other collaborating agencies to increase your advertisement’s possibilities of success. Though your advert will only be published by the agent you entrusted your property to in the first place, in certain situations, other specific marketing campaigns may also be carried out. After the marketing campaign for selling or renting your property has been launched, in addition to studying and selecting the most interesting profiles, your agent will also organise viewings. We aim to save you time and limit the risk of insufficient financing or defaults in rental payments. The real estate agent’s role also includes informing you about your rights and obligations, especially in regard to whatever is direct or indirectly related to the sale, purchase or rental operation. Investing in real estate is safe and stable, provided all the different parameters have been taken into account by your real estate agency. Net profitability for newly constructed or second hand real estate investments can vary between 2.5 % and 7 % yearly. The fact is that in just a few decades, international tourism has exploded on Ibiza. In 1960, fewer than 40,000 tourists came to the island. Currently, Ibiza receives more than 4 million tourists every year, 3 million of whom visit between June and September. Ibiza’s tourism market dynamics have walked hand in hand with the exponential, constant real estate price increase that has taken place in the last 30 years. Ibiza is currently one of Spain’s most expensive areas. Rigid town planning and construction regulations will derive in dwindling supply in the next few years, which will in turn drive prices up once again. Demand for luxury properties continues to be extremely high throughout the island. Supply of second-hand property is higher than demand, which allows for finding property in better locations, closer to the town centre. Second-hand homes have a certain charm about them that new ones never will. Additionally, it is also possible to add mod cons to the old, while adding allure to new build homes is more challenging. Given that purchase prices for second-hand homes are lower than those of new build properties, their profitability over time is higher (except with large building works projects). In addition, there’s the possibility of moving in immediately if no building works are foreseen. Properties built in the last five years are considered new build properties. The main advantages of new build property include comfort and guaranteed adherence to the current regulations. New build property also offers tenants optimum thermal and acoustic insulation, which goes hand in hand with comfort, safety and energy savings. Selling off-plan means selling a property that has not yet been built. This kind of operation is popular among real estate investors and speculators – the property is purchased before construction has started, but once the construction plans and building licenses have been issued. This kind of purchase is estimated to be 15 % cheaper on average than a second-hand market purchase. Obtaining a “bank guarantee” from the bank is recommended for this type of operation. Note: In general terms, investments in Spain tend to be more profitable than in other neighbouring countries on account of purchase prices and fees being lower, rentals being taxed at lower rates, and because most rental charges are deductible from the income. In addition, a 40 % bonification is applicable to rental contracts lasting more than two years. What kind of agreement should I choose when selling my property? When you decide to entrust the sale of your property to a professional, the parties must agree to and sign a contract. This essential document describes your property and establishes the sale price and the fees you are liable for and that will eventually be payable to the professional. This agreement also establishes the contract termination conditions. The agreement has a set duration. Exclusivity agreements (generally for 3 months, renewable): the real estate agent is the only party authorised to commercialise your property during this period. This means that your agent’s motivation to close the sale as soon as possible is extremely high. In this kind of contract, potential buyers are required to sign a visiting sheet. Non-exclusivity agreements: the real estate agency may sell your property, although you may also place the sale in the hands of other agencies, or even find a buyer yourself. There is less motivation involved in this method, and therefore it tends to be less efficient where the agencies competing to close the sale are concerned. What fees do our agency charge and how are they broken down? Firstly, it is worth pointing out that real estate agencies do not receive commissions, but fees by way of remuneration for the provision of a service and for providing specific skills, much like with any other liberal profession. In addition to commercial activities to sell the property and their role as an intermediary between the parties, real estate agents take care of the technical and legal validity of the transaction. Our agency fees vary between 3 % and 5 % over the sale price. The percentage applied decreases in line with the price of the property. Fees are clearly detailed and inclusive of all taxes. Our agency fees are payable by the seller, and we only collect once the sale is finalised and ratified by the notary public. Ibiza-services.com was born in 2004. Our agency’s ample experience has allowed us to develop a unique know-how in the sale and purchase of villas, apartments, estates and commercial properties. We have opted for a model of proximity that allows us to offer high-profitability solutions adapted to your needs and expectations. Our professionalism and experience in the sector have allowed us to gain the trust and fidelity of a local and international clientele of demanding buyers and sellers. Our dynamic, fully committed sales team will guide you through all the real estate formalities. The first department deals with the traditional rental market and the comprehensive management of several rental properties exclusively, as well as with property sales. The second encompasses a legal department, an architect, concierge services, a construction and refurbishment company and a luxury car rental company. What are the main stages involved in purchasing or selling property on Ibiza? Firstly, a Foreigner ID (NIE) is essential to carry out any Spanish administrative or fiscal formalities. A NIE may be secured in three weeks. After this, property visits start according to the budget available, and then the home is chosen. Our agency deals with the conditions of the negotiation and the transaction to ensure the best possible purchase price is agreed on. The next step is the signing of a commitment of sale between the buyer and the seller, upon which an advance payment of 10 % over the sale price is established. The property is then removed from the market and the document becomes legally binding. Spain does not establish a time limit for signing the definitive contract, so the parties may go directly to the notary public for the definitive signing of the deed of sale. Nevertheless, the time needed to verify all the documentation must be taken into consideration. In Spain, notary publics’ functions are limited in the process of selling a property, as they only intervene when it comes to signing the deed. Therefore, they are not involved in redacting the documents before the sale or diagnosing the different legal, administrative and town planning controls that are required beforehand. The notary public’s fees represent about 0.1 % of the sale price (at a set minimum of €400). You may opt for being accompanied by ibiza-services.com, which is included in our fees. Most of the transactions we carry out do not require a lawyers’ services. However, depending on the complexity of the case and the potential special characteristics, we might suggest consulting with a lawyer. If you would rather have legal counsel for assistance and control of the documents, it is preferable to establish a price for the lawyer’s services beforehand, rather than to set a commission over the sale price for covering their fees. The first solution will work out more cost-effective. The total cost for the entire process will vary between 8 % and 13 % over the sale price. The main taxes applicable are the Property Transfer Tax (ITP) and the Documented Legal Acts Tax (IAJD). In the event the buyer secures a loan for the purposes of financing the property, the funding will be released at the notary public’s office on signing the sale deed. A Spanish bank account is needed to buy property in Spain. 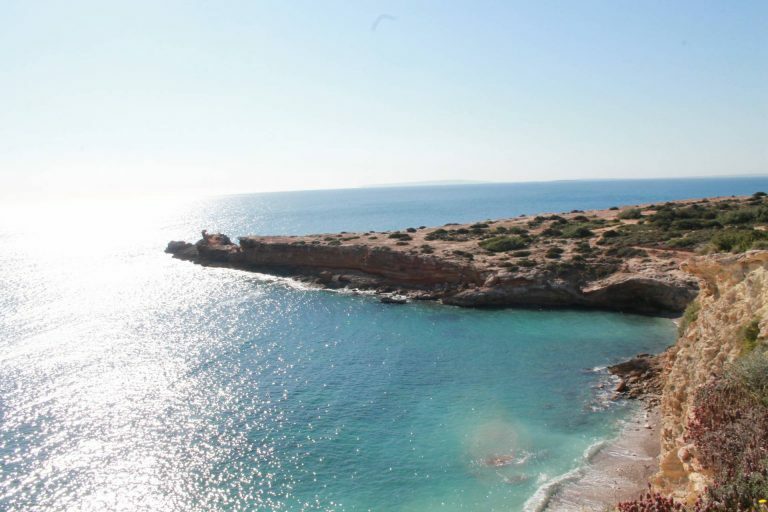 We have a wide range of apartments on sale on Ibiza and Formentera. 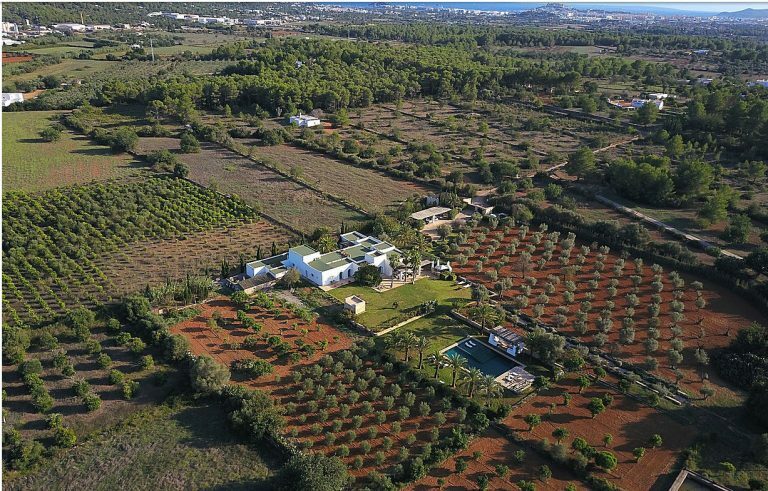 We have a wide range of villas and house on sale on Ibiza and Formentera. How do annual rentals work on Ibiza? Our agency deals with finding the ideal tenant by carrying out a rigorous, precise search of the different dossiers. We redact the advertisement, shoot the photographs, carry out the marketing communications, organise the visits and all take care of the administration. The agency’s fees are covered by the tenant. We find the ideal home for you in line with your needs and budget. We have a wide range of apartments to rent in Ibiza on an annual basis. We have a wide range of houses and villas to rent in Ibiza on an annual basis. How do seasonal rentals work on Ibiza? Firstly, you must consider whether the property you wish to rent out is located in an area of high touristic potential. Seasonal rentals are normally more profitable than annual rentals. This is the case, for instance, with apartments and homes on offer for rental on Ibiza during the high season. Nevertheless, these properties are required to have a touristic rental licence. Ibiza-services.com carries out all the formalities to obtain the touristic rental license in your name. Ibiza-services.com finds the ideal tenant by carrying out a rigorous, precise search. We redact the advertisement and take professional pictures of your property. We also divulge your advertisement in different portals, reply to emails, welcome and check out tenants, carry out in-depth checks of the condition of the property after they check out and deal with any potential conflicts. We also manage the cleaning and concierge services. Use our search engine to filter by date and other parameters. We have a wide range of apartments available in Ibiza for seasonal rentals. We have a wide range of villas available in Ibiza for seasonal rentals. What is Ibiza-services.com’s reservation and cancellation policy for seasonal rentals? We will send you a reservation document detailing the pricing, the services included and all the necessary information. Your reservation will become effective once the signed document has been received (fax number 0034 971 080 439), and once a 40 % deposit payment has been made. The deposit will correspond to 40 % of the total amount on signing the booking contract. The remaining amount (60 %) should reach us 30 days before the date of arrival at the very latest. WARNING: If payment is not received within the aforementioned deadlines, the rental may be annulled without prior warning; furthermore, the amounts due are claimable at any time. Once we have received the minimum deposit, equating to 40 % of the total amount, other additional services (cleaning, etc.) may be requested. Once the total amount has been received, the agency will immediately send your travel voucher via email or fax. Once on the island, please proceed to the agency with your voucher. A representative will accompany you to the property and provide you with any necessary information. Our prices include fees, taxes and all expenses related to the rental, such as gas, electricity (*), water (*) and swimming pool and garden maintenance. All houses and apartments include linen and towels (beach and swimming pool towels are not included). Baby cot: 5 Euro per day. Extra bed: 10 Euro per day. Arrival times: between 16:00 and 22:00. Checkout times: always before 11:00. An extra €50 will be charged for arrivals after 22:00. To facilitate and organise arrivals and checkouts, we ask that you inform us of your exact date and time of arrival, as well as any changes. Being seasonal rentals, tenants commit to vacating the property on the date stipulated in the contract. The rental contract is nominate, and subletting is strictly forbidden. Pets are only accepted if requested beforehand in the rental application and confirmed by our agency. The person welcoming you will request a security deposit on arrival. This deposit will vary between €2,500 and €10,000 depending on the kind of property you are renting. To avoid cash payments, the deposit will be paid via credit card on arrival. For rentals under 8 nights, a credit card block will suffice. For more than 8 nights, the deposit will be charged to your credit card. Once checked out, and after a comprehensive verification of the property, the deposit will be reimbursed in a period of between 48 and 72 hours. * If you cancel up to 45 days before the contractual date of your entry into the premises: the cancellation fee will be 30% of the amount of your rental. * If you cancel between 45 days and the contractual date of your entry into the premises: the cancellation fee will be 100% of the amount of your rental. ** Under certain circumstances, depending on the duration of the rental, proprietors may request the payment of an additional amount in the event of excessive water or electricity consumption.